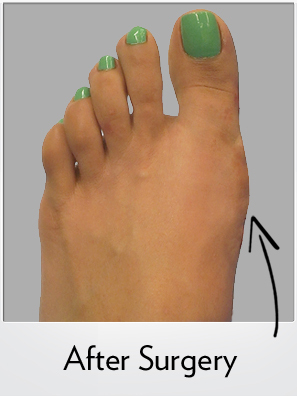 34 year old female before and immediately after Left foot Bunionplasty® procedure Surgery performed by Dr. Blitz. 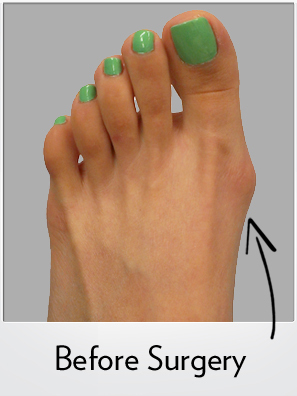 The bone procedures performed are distal metatarsal osteotomy and hallux osteotomy. In the case, Dr. Blitz allowed immediate weightbearing in a small surgical shoe.